Gregory Bush, 51, is alleged to have killed two people based on their race. The man who allegedly opened fire at a Kroger grocery store in October, killing two people, is now facing hate crime charges. 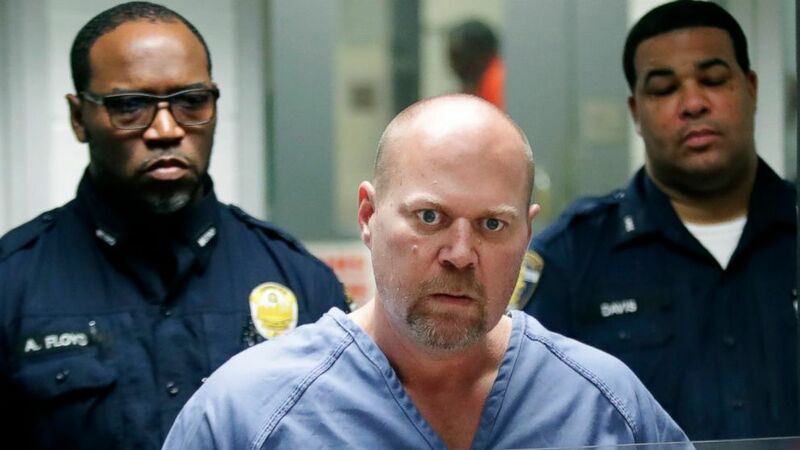 Investigators announced a grand jury returned hate crime charges against Gregory Bush, 51, who allegedly shot and killed a black man and woman at the Jeffersontown, Kentucky, store on Oct. 24. A grand jury returned a six-count indictment against the accused shooter, including two counts of shooting and killing two victims based on their race, one count of attempting to shoot a victim based on race and three firearm counts based on its use in support of the previous charges. 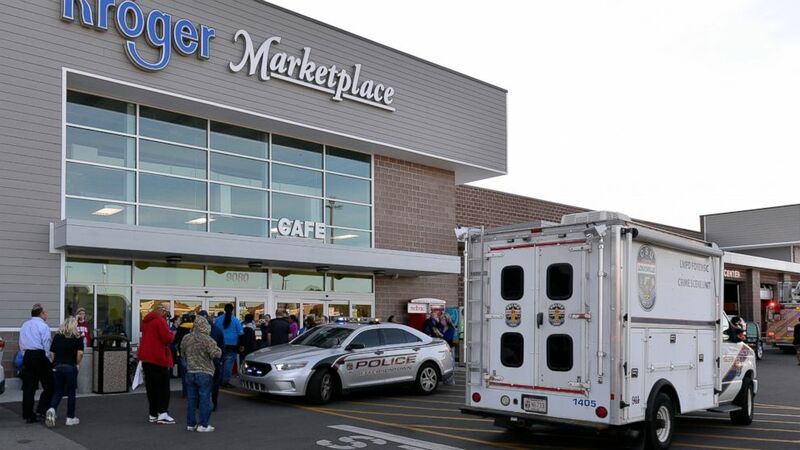 (AP) Employees wait outside the entrance of a Kroger grocery following a shooting that left two people dead and a suspect in custody, Wednesday, Oct. 24, 2018, in Jeffersontown, Ky.
Vickie Jones, 67, and Maurice Stallard, 69, were both killed when the suspect began shooting indiscriminately in the store and then outside. Stallard was shot inside the store, while Jones was gunned down just outside the entrance, police said. Police said that just prior to the killings at the Kroger store, Bush was spotted on security footage outside the First Baptist Church, a historically black church in Jeffersontown. After he was unable to get inside, he allegedly went to the Kroger store and opened fire. Federal authorities launched a probe into whether Bush should be charged with hate crimes on Nov. 1. (Scott Utterback/Courier Journal/AP) Gregory Bush is arraigned on two counts of murder and 10 counts of wanton endangerment, Oct. 25, 2018, in Louisville, Ky.
United States Attorney Russell M. Coleman, FBI Special-Agent-in-Charge Robert Brown and Bureau of Alcohol, Tobacco, Firearms and Explosives Special-Agent-in-Charge Stuart Lowrey were present at the news conference on Thursday. They said at the news conference Bush has maintained his innocence. "No Kentuckian should be frightened to go shopping, no Kentuckian should be frightened to worship, no Kentuckian should be frightened to go to school," Coleman said. "There is no place for hate-filled violence in this community." Bush was arraigned on two counts of murder, one count of criminal attempted murder and three counts of wanton endangerment in October. He pleaded not guilty to the original charges last month. Prosecutors have not said whether they will seek the death penalty in the case, though Senate Majority Leader Mitch McConnell, R-Ky., said he would support it if Bush is convicted, according to the Louisville Courier-Journal. Bush's next court date is set for Jan. 15. ABC News' Cheryl Gendron contributed to this report.